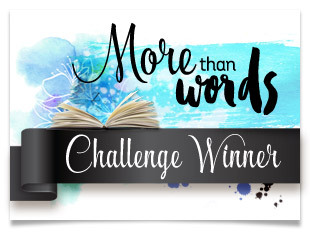 The new Color Combos Galore Inspiration Challenge has gone Live. This week #235 is 'Sweet Indulgence'! 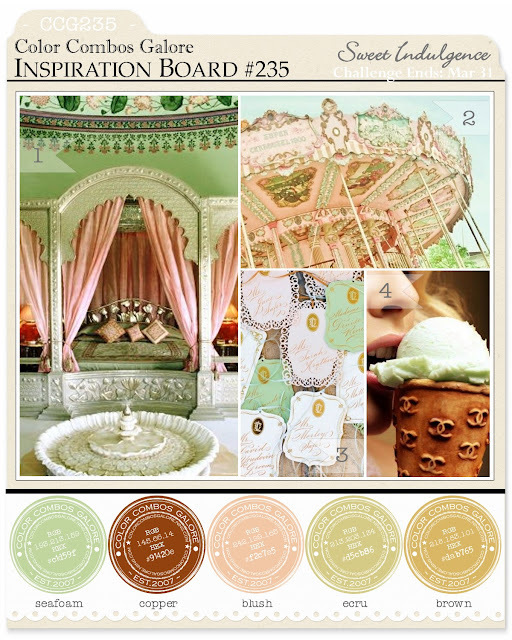 So much to be inspired by with this board - just gorgeous. For my design, I chose Inspiration Photo #3 Focus on Tools: Punches and took inspiration from Photo #2 in recreating a carousel. 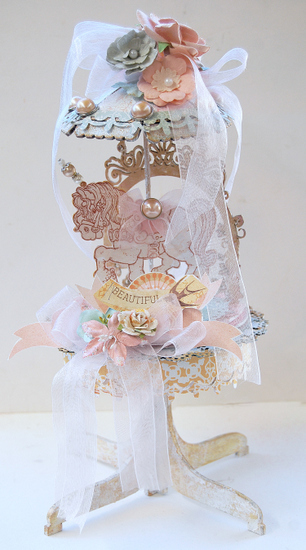 To build my little carousel, I used Twiddleybitz Chipboard components: Cupcake Stand for 1, an Umbrella from the Kitch Chair and Umbrella Kit, Decorative Journal Circle and Arch Gate and Fence (with the fence removed). I concentrated on the softer toning of the palette - Sea Foam, Blush, Ecru and Brown, with just dash of the darker copper as contrast. The Prima Songbird Collection matched the palette beautifully. 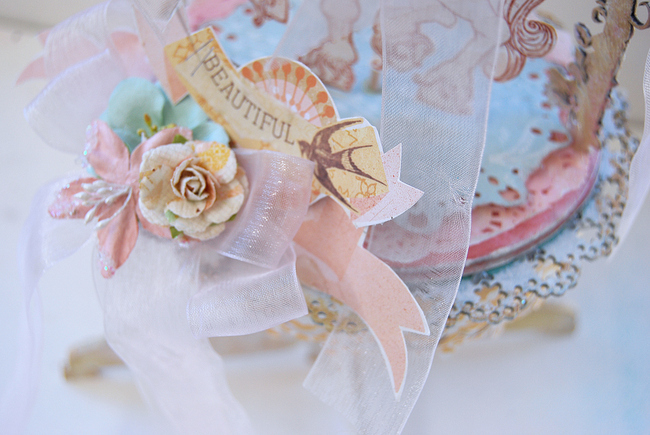 Songbird Patterned Papers cover the parasol with a light stippling of white gesso over the top. 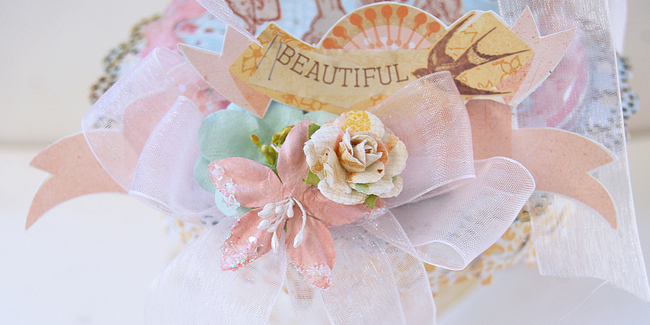 A Border Punch was used to add a decorative decal around the parasol edge. A touch of metallic gold adds subtle accenting as taken from the Inspiration Photo #2 with the Gilded Frames of the carousel. Stippling and Pearls were added to replicate the texture of Inspiration Photo #2. 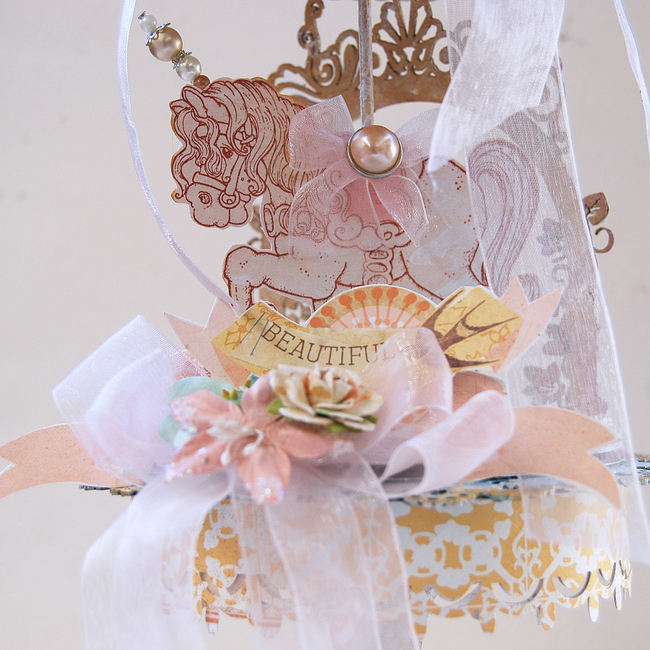 Organza Ribbon drapes delicately over the carousel - inspiration for this was taken from Inspiration Photo #1 with the drapes. 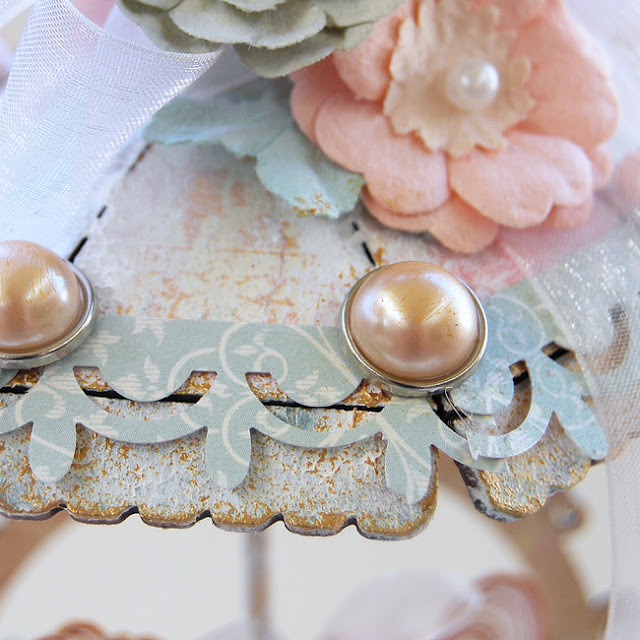 An ornate decorative gate sits in the background - Inspiration again from Photo #1 with the arch work. The horse is stamped with Prima Red Bark Ink and a Magnolia Rubber Stamp. A paper skirt was created with a length of coordinating patterned paper with one of the edges punched with a decorative border punch. To continue with the decorative edge effect - a paper doily and die cut doily were layered over the top of Twiddleybitz Decorative Journal Circle. 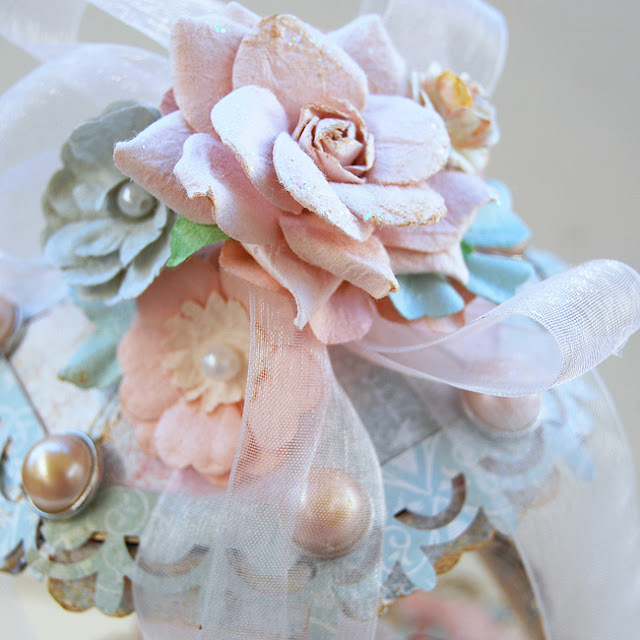 Hand Cut elements from Songbird patterned papers and pretty Prima blooms in tonings of blush, sea foam, ecru and brown are clustered together to add a touch of sweet elegance. Wow this is soooo clever!!! Gorgeous gorgeous project, Trudi! TDF!! Absolutely gorgeous. I have always wanted a carousel from Twiddleybitz and of course you have made yr own with perfection!